If you have grown your beard with success, you’re probably starting to realize that there is a lot more to a beard than merely growing it. Beards are prone to getting dry and itchy, an unpleasant situation for anyone who has to feel it, but most unpleasant for you. Productless beards also tend to be unhealthy and unruly. So, if you have found that you sought after beard isn’t all you wanted it to be, I encourage you to consider beard oil. Not only will it give you the beard you want, but you’ll smell great too! Beard o﻿il can’t fix every problem, but it can certainly make your beard a more enjoyable experience for not only you but your loved ones as well. I’ve assembled a list of some of the best beard oils and where to find them, so I encourage you to take a look! Believe it or not, the idea of using beard oil is still a new concept, so don’t worry you aren’t behind the times if you haven’t started yet. In reality, the idea of having a beard has only recently become something that wasn’t considered negative. Not too long ago, men with beards were seen as those who didn’t value their appearance. Most preferred the clean cut, shaven appearance over a beard. However, with the new reality and acceptance that beards are here to stay, more men are coming forward with the ways they keep their beard soft, manageable, and healthy, and using beard oil is one of those ways. You may believe that spending your money on beard oil is a waste of precious resources, but it’s simply not true. Beard oil is a vital step in beard care to keep it soft and touchable. One of the most common problems with growing a bear is something called beardruff. Similar to dandruff, beardruff is dry, flaky pieces of skin from your face that will get stuck in your beard. While it’s merely skin, it does look an awful lot like dandruff, something that no one finds attractive. If you have heard of this or are currently dealing with it, beard oil is your answer. So, to recap, beard oil is entirely necessary. If you want a soft beard that doesn’t look dirty and flaky, you should seek the advantages of beard oil. When it comes to choosing the best beard oil it comes down to personal taste. There are so many beard oils out there, and the reality is that you might love some that others hate. Personal preference has a lot to do with whether you think it’s the best or not. However, in general, you should look for a beard oil that moisturizes not merely the skin beneath your beard, but your beard as well. Both are quite important. You also might check to make sure the products in the oil won’t clog your pores and cause you to break out. The scent is more of a bonus, but it may influence what type you buy, so make sure you get a scent that won’t bother you. If you have never used beard oil, you might be unfamiliar with how to use it. There is no exact science, but it is a general rule to use roughly a dime size worth. Some of it will be a bit of trial and error, but I would begin with the dime size. You might be concerned with figuring out how to apply the oil without breaking your beard. There is a very small possibility of that happening, but just in case, I’ll break down exactly how to apply the oil to gain all of the benefits. Pour a dime size amount onto your palm and spread it out evenly on your palms and fingertips. Evenly apply to both your beard and the skin beneath your beard. These steps are best applied right after your daily shower. This beard oil is still fairly new, but that in no way hinders this product. Made with grape see, almond, and jojoba oil and featuring vitamin E, this beard oil is high quality. Organic jojoba, Moroccan argan and Vitamin E oils combine to condition and soften facial hair for easier, better grooming. Healing, hydrating formula eliminates itching, skin flaking ("beardruff"), and acne. Oils' antioxidant powers cleanse pores and stimulate healthy hair growth. If you’re in the market for a high-quality oil that is made natural and organic, look no further. This all-natural beard oil will aid in deeply conditioning your beard and making it look great to everyone who sees it. 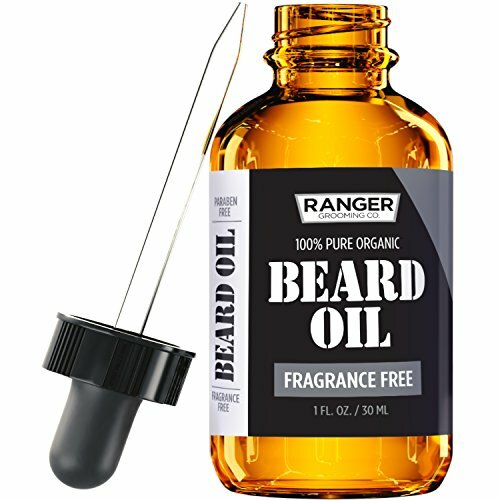 This oil not only helps you get rid of any unwanted beardruff, but it also helps get rid of the horrible itching that can often come with beards. It works great with any type of hair. It’s ingredients include organic, moroccan argan, vitamin E, and jojoba oils and spinose. The Manskape Wild Willie's Liquid Gold Beard Oil, the Only Beard Oil "Nut Free", Made with 10 Organic Ingredients to Condition, Treat and Promote a Fast Growing, Healthy and Study Beard, 2 oz. The Tea Tree blend is our most crisp and fresh-smelling blend. Imagine living on a Swiss mountaintop and taking a step outside into the brisk morning air. Breathe in that air and you will experience the same feeling as this fragrance. 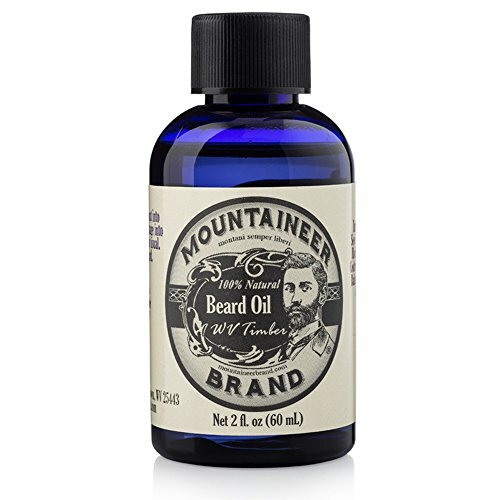 This light and refreshing beard oil has a wonderfully unique blend of scents that gives the oil a fresh and crisp scent that is known to last quite a while. The oil is lightweight and doesn’t make your beard heavy or greasy. 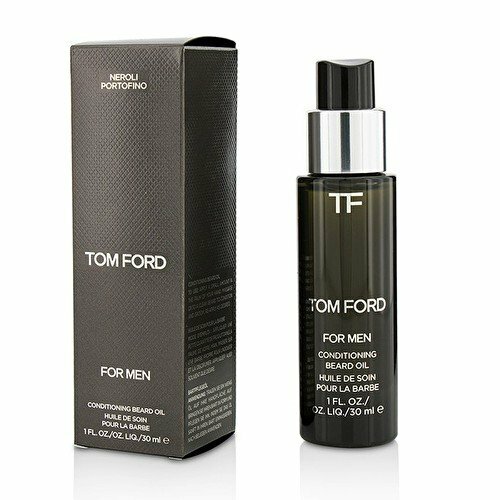 Made with Castor, Almond, Grapeseed, and Jojoba oils, a fragrance that is naturally-derived, etc., these ingredients work hard to keep your beard healthy and conditioned. While it is conditioning your beard, it also happens to be working hard to keep your beard tamed and controlled. 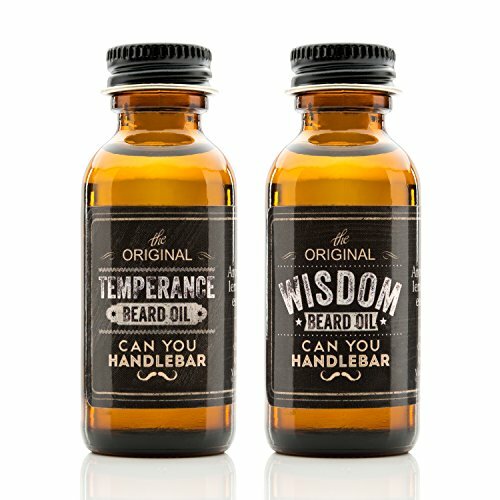 Can You Handlebar Temperance and Wisdom Scented Beard Oils are designed with only the best ingredients to help your beard look awesome while maintaining its health. Temperance Unscented Beard Oil is a perfect for those that hunt, those with allergies or those that just don't want their beard oil to compete with their cologne. This well-reviewed beard oil is known for its pleasant, but not overpowering, scent. 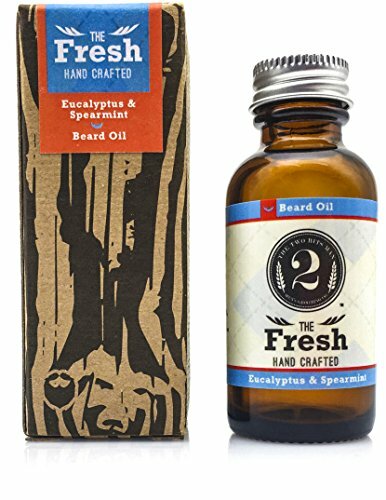 The pleasant blend of such ingredients as grapeseed oil, jojoba oil, apricot oil, argan oil, olive oil, Vitamin E, and essential oils, give the beard oil a deep manly scent that users find to be a perfect blend. It also happens to fight the itchiness that is often associated with beards by moisturizing deep down. Having Vitamin E helps keep your beard healthy and spur its growth. Because of its thinner consistency, it tends to absorb quickly into the skin without leaving any type of greasy residue. Unless you have a beard that is exceptionally dry, you should only need a few small drops for maximum effect. Designed to keep your beard and skin moisturized, Leven Rose’s beard oil will aid in keeping your beard healthy. You’ll find that it soon fixes the common problem of a brittle beard, leaving it smooth and comfortable. Its ingredients include Moroccan argan and jojoba oil. Its easy application makes it very popular and user-friendly. Pure plant oils keep facial hair soft and reduce itchiness associated with beard growth. Our unique blend of plant oils condition the hair and the skin underneath without clogging pores. Great for guys with scruff or a full beard, it also encourages healthy growth of the beard. 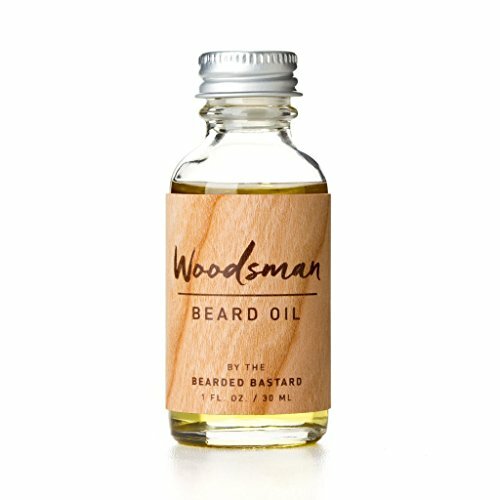 The Woodsman Beard Oil is known to have quite a woodsy scent (ironic, right?) and it is known for many benefits. Not only does it soften your beard and help to lessen the appearance of beardruff, but it also helps in preventing your beard hairs from shedding! 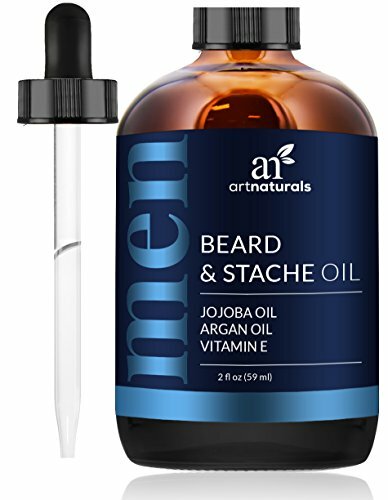 Made with sweet almond, jojoba, olive, argon, safflower, grapeseed, and castor oil, natural fragrance, and coconut oil that has been fractioned, this beard oil is clearly high quality. Known for taming beards and reducing bothersome side effects such as itching and beardruff, the Montaineer beard oil is made with completely natural essential oils. The oil has a light scent of cedar that most find pleasant. Beards are also known for being hard to control, and this oil will help to tame it and keep every hair in place. The great thing about this oil is that just a little bit of it will go a long way, so only a little is necessary to achieve a soft and healthy beard that will be the envy of many. BOOSTS BEARD GROWTH: Our essential oils assist every gentleman in growing the best, healthiest beard. SOOTHES ITCHING: The ideal beard booster and accelerator doubles as a fast soothing anti itch tonic. FRESH MANLY SCENT: Carry the robust, cool smelling aura of eucalyptus and spearmint anywhere. A bit different than other beard oils, the fresh man brand is known for making their beard oil a bit thicker than most. However, the consistency does nothing to lessen its abilities. This oil is great for softening your beard and make it a lot more manageable for you. It has scents that range from clove to cedarwood to spearmint to Eucalyptus. This unique blend of scent provides a clean scent that is enjoyed by most consumers. Users enjoy that this oil doesn’t simply make your beard softer, but it conditions it, making split ends much less frequent and your beard much easier to keep in control. 100% Pure Natural Ingredients. We choose quality over quantity. No additives or GMO's. PARABEN FREE. While most beard oils offer many benefits to your beard’s health, beardoholic provides a beard oil that no only removes the problem of itching, irritation, and beardruff, but it also help your beard grow faster. What’s better than a healthy, thick beard? The formula they use is 100% natural and contains such oils as jojoba, wheat germ, argan, almond, castor, and grapeseed. They use pine oil for their essential oils. This unique blend creates a beard oil that will be envied by many. We've written up a comprehensive guide on beard conditioners which you can find here. Now, there will always be a lot of really great choices when it comes to beard oil. The key is to find the best! Thus, of your choices above, I’m going to rank what I believe to be the top three. The simplest answer to why I believe this beard oil to be your top choice is because it is natural and organic. It’s nice to know that what you are putting on your beard is made with organic ingredients as organic tends to be better for us in the long run. On top of that, the oil also happens to be excellent for the not so pleasant side effects of having a beard. Thus, I find this beard oil to be your number one choice. Also considered a natural beard oil, I consider this one second for many reasons. Yes, it’s natural, always a plus in my book, but it’s also made to make your beard grow faster/thicker. In my opinion, you can’t go wrong with this beard oil. Known to possess many of the great qualities that you strive for in a beard oil, this one is also known to help prevent any shedding. Is that great, or what? Shedding isn’t pleasant, especially when it’s coming from a person. 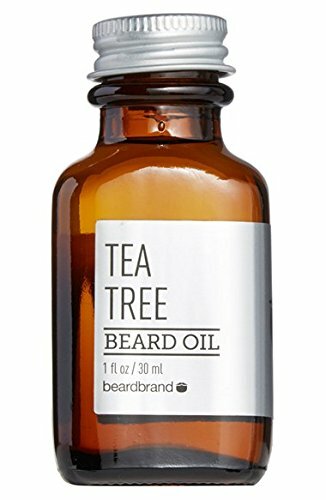 So, this oil will not only aid in stopping the unpleasant side effects of a beard; it will help ensure you’re not losing your beard when you don’t want to. I said earlier that there are many beard oils that would be a great choice! However, these three beard oils stand out to me because they go above and beyond what any typical beard oil does. And there’s nothing too good for your beard, right? Whether you choose a beard oil from my list or not, I still encourage you to be using beard oil every day to ensure a strong and healthy beard! Let me know what you think in the comments below; I’d love to hear from you. And, of course, feel free to share this article with anyone and everyone!